R.S. Mendelsohn wearing a laboratory coat in a doctor’s office, with painting prints and awards/certificates hanging on the wall. He is sitting on a seat or examination table with his hand on the knee of a little boy to his right. 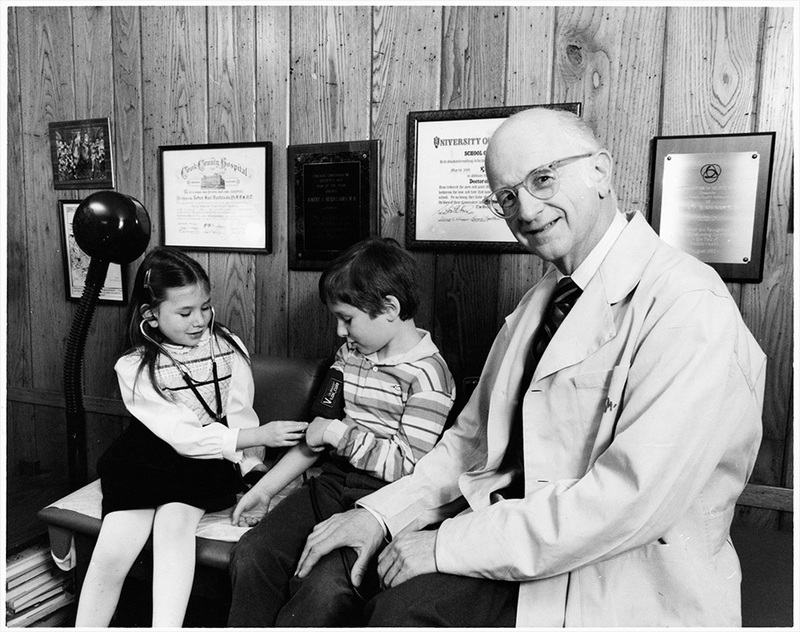 To the right of the little boy (who is wearing a blood pressure cuff) is a little girl examining his arm with a stethoscope.